Resolute mining has increased production at its Syama gold mine in Mali significantly. Gold production from Resolute Mining’s Syama gold mine in Mali increased by more than 50% to 84 552 ounces (oz) and, according to a statement by the company, this is a site record for quarterly output. John Welborn, managing director of Resolute says that Syama has become the robust, flexible, high production and low-cost gold mine the company has envisaged. “Syama will be a powerhouse of gold production for Resolute for many years to come. Underground ore production will continue to ramp up. Importantly, we have provided the team additional time to optimise and commission the most advanced underground mining automation system in the world,” says Welborn. According to Welborn the key driver of the positive quarterly performance was the high grade and above budget recoveries achieved from Resolute’s new mine at Tabakoroni. “A decision to accelerate mining at the Syama satellite operation has resulted in above budget mining rates which has provided high grade ore to the Syama oxide mill and allowed for the creation of a significant oxide ore stockpile. Syama oxide operations produced a record 71 186oz for the March 2019 quarter. 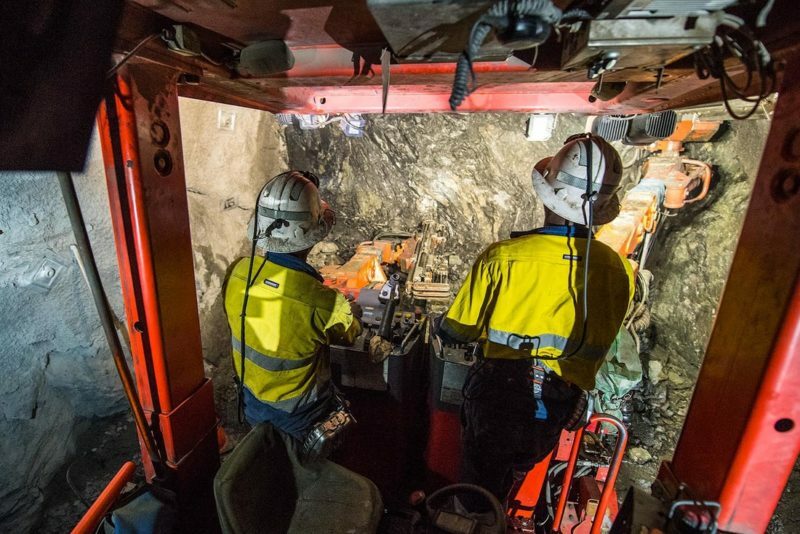 Strong performance from the oxide operations has supported a decision to prioritise infrastructure, development and the automation implementation programme at the Syama Underground Mine during the March 2019 quarter. The focus on development has resulted in a more modest increase in underground ore production as underground ore mined increased 45% to 244 396t. The Syama sulphide operations produced 13 336oz for the March 2019 quarter.